Tastings of the competitors’ products on each day. Tarts (Sunday), Eclairs (Monday), Entremets (Tuesday) and Plated Desserts (each afternoon) – you eat what the judges eat! 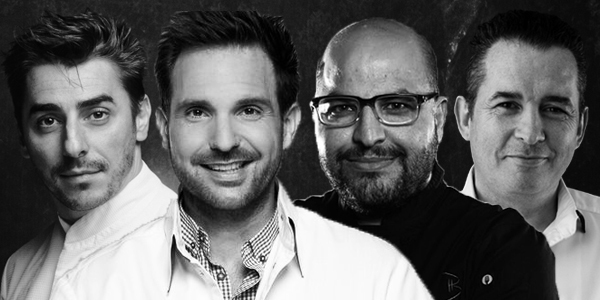 Exclusive “Meet & Greet” with the judges Christophe Michalak, Jordi Roca, Paul Kennedy and Antonio Bachour. VIP Package only $155 | Only 10 packages available, per day! This entry was tagged antonio bachour, bachour, become a pastry chef, best pastry chef in the world, best pastry chefs, christophe michalak, dessert, eclairs, entremets, pastry chef, pastry chef courses, patisserie, savour patissier of the year, savour school, tarts. Bookmark the permalink.